I spent a very diverting hour mudlarking this morning. Mudlarking is – as I have learned recently – poking around in mud (river estuaries in particular) for artifacts. I was inspired by Ted Sandling’s London in Fragments book. A great inspiration: Ted Sandling’s London in Fragments. 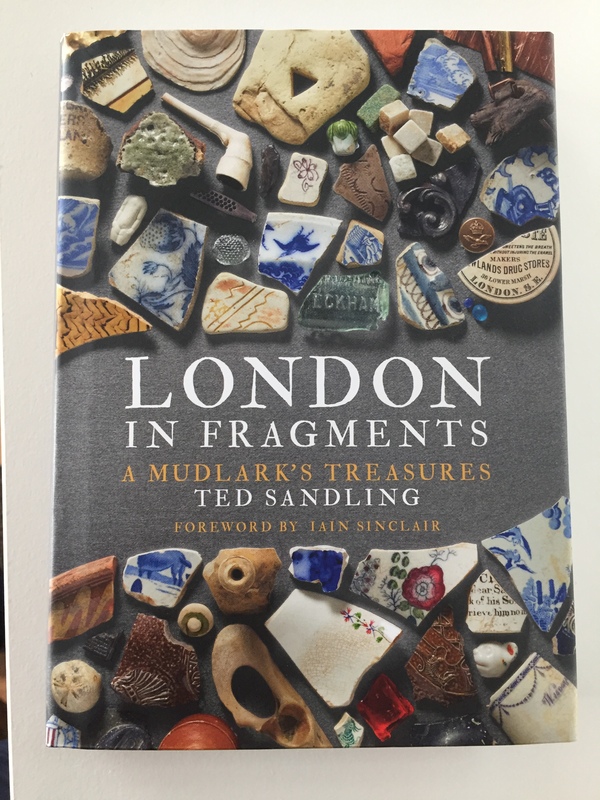 Sandling writes about mudlarking on the banks and shores of the Thames and his book is a rich commentary on the economic, social and cultural life of a world city. My patch of mud is not nearly as cosmopolitan (an estuary on the English/Scottish border), but nevertheless I had a very interesting hour walking around mudflats and sandbanks. 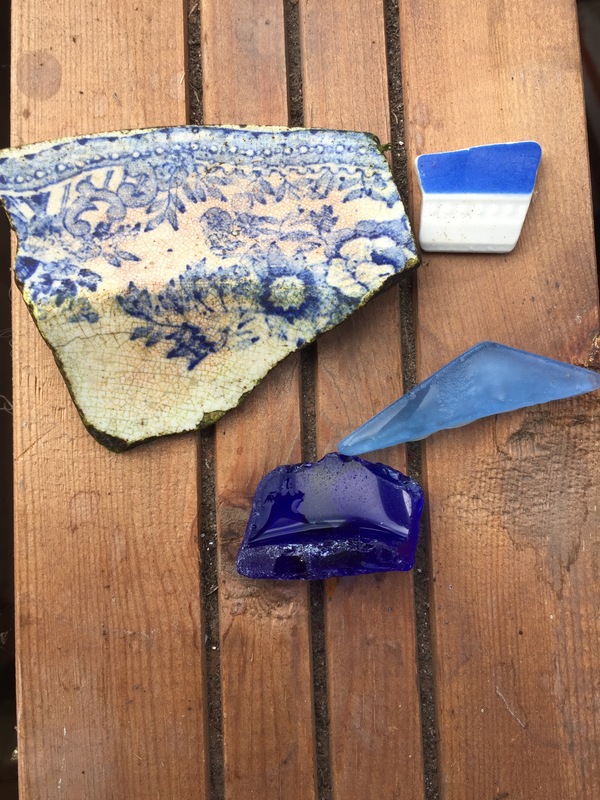 I found various pieces of pot and crockery. Nothing I found was of great historical or financial worth. That is what attracted me to mudlarking. It offers history in fragments. Rather than a landmark find (a tomb, a monastery, a treasure trove) it offers multiple data points that build up a picture of a locality over a period of time. It reminded me of the value that material objects have in telling stories of production and consumption. The fragments that I found contained narratives about imports, indigenous skills, fashions and habits. There was very rough clay pottery (perhaps from a bowl or a drain) and very fine china, suggesting refinement over time. There was the mass produced and the hand made. There was some sort of smelted metal – a sign of production and pollution. What was especially interesting was that all of the ‘finds’ had been thrown away or lost. They comprise, quite literally, of a discarded history. It reminded me of what is now called ‘data exhaust’ or the extraneous data trail that we leave after ourselves. In a century or two archaeologists and historians may be poking around our ‘data middens’ – the discarded and fragmentary remains of our digital footprint. 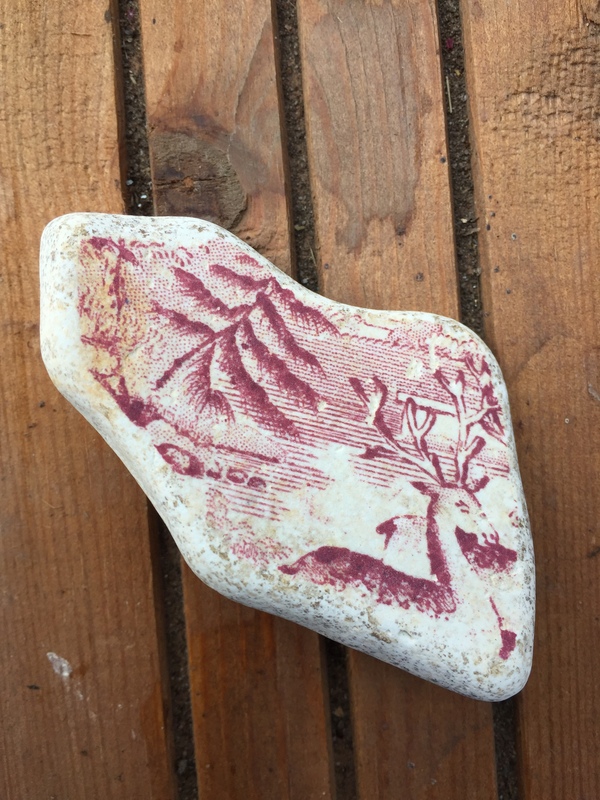 What was especially interesting about my mudlarking adventure was the ordinariness of the ‘finds’ – they told a story of the everyday and as such built up a composite or aggregate picture. They were the type of items that I have stepped over and ignored on a thousand beach walks. I probably classed them as ‘litter’ and tut-tutted. But today, simply by purposively looking for the small fragments of evidence of others, I was able to conjure up a world of production, consumption, gifting, display, and waste. I was able to justify taking off a morning on a school day because my mudlarking adventure fits in very well with my academic interests in the everyday and the bottom-up. The river bank did not contain a grand narrative of states and institutions. Instead, the narrative was about people of all classes and the everyday tasks of eating, drinking and sanitation. It is this everyday dimension that mainstream political science and international relations manage to overlook – much to their detriment. 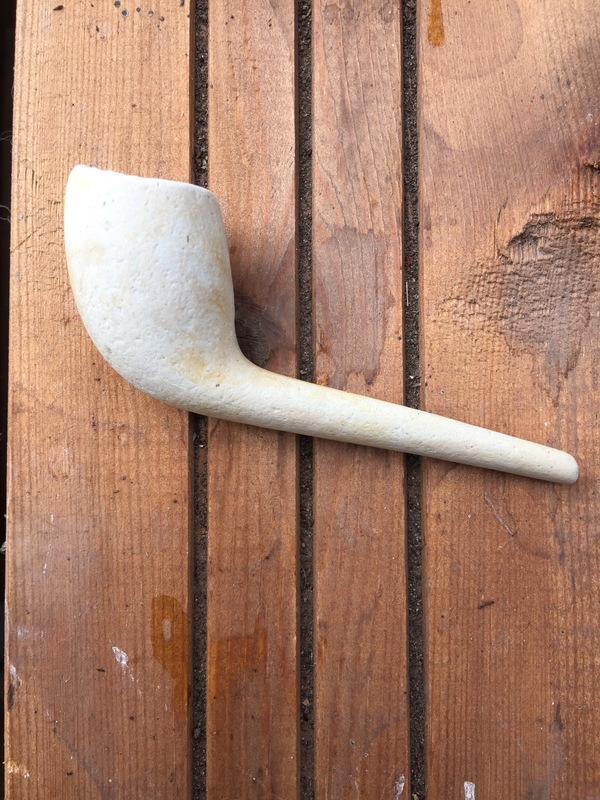 I did have one amazing find though – a clay tobacco pipe. It was intact (apparently, usually just the stem OR the bowl is found). 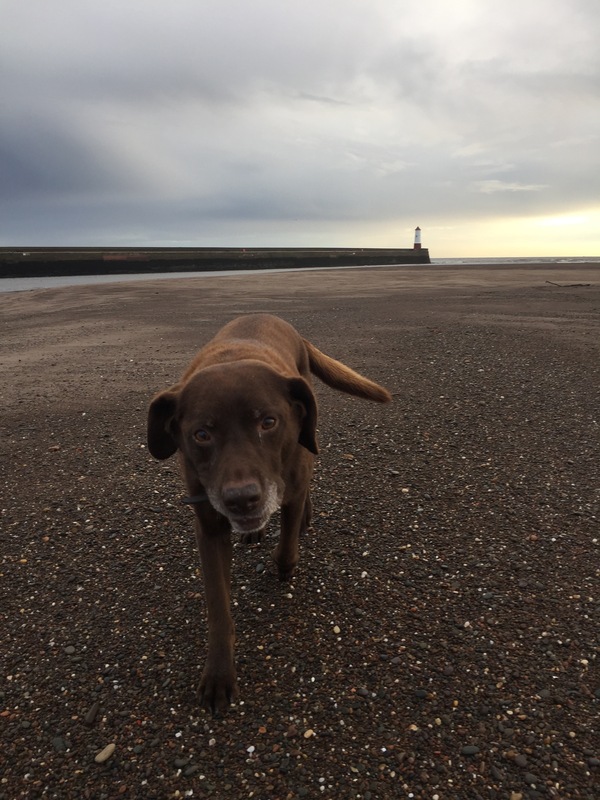 It was lying in the sunlight atop a sandbank, more or less as white as it had been when it was chucked into the river in the last half of the nineteenth century.